Today is my husbands birthday and he loves dragonflys! 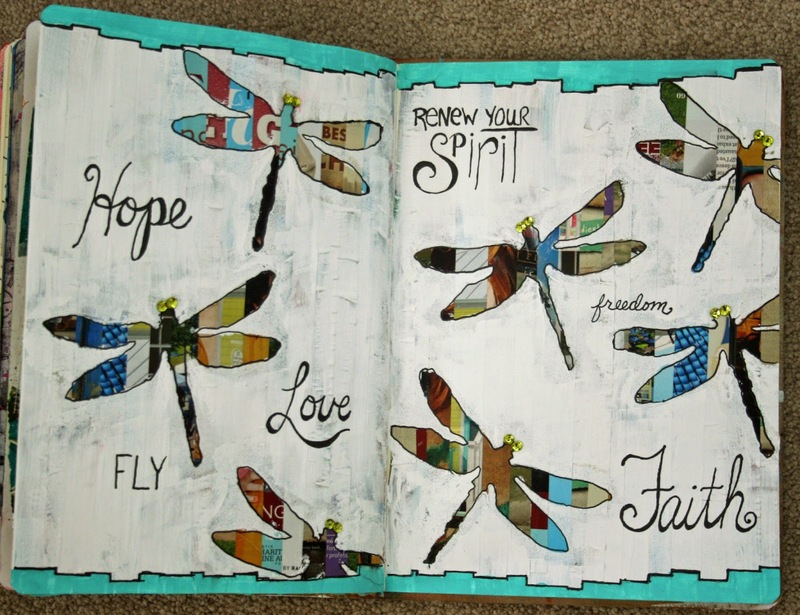 I just finished this Journal 52 page, the prompt was newsprint, and we don't get the newspaper anymore so I decided to make it magazine print! I wanted to do a silhouette technique on my page and decided to do it in reverse and mask instead of stencil. 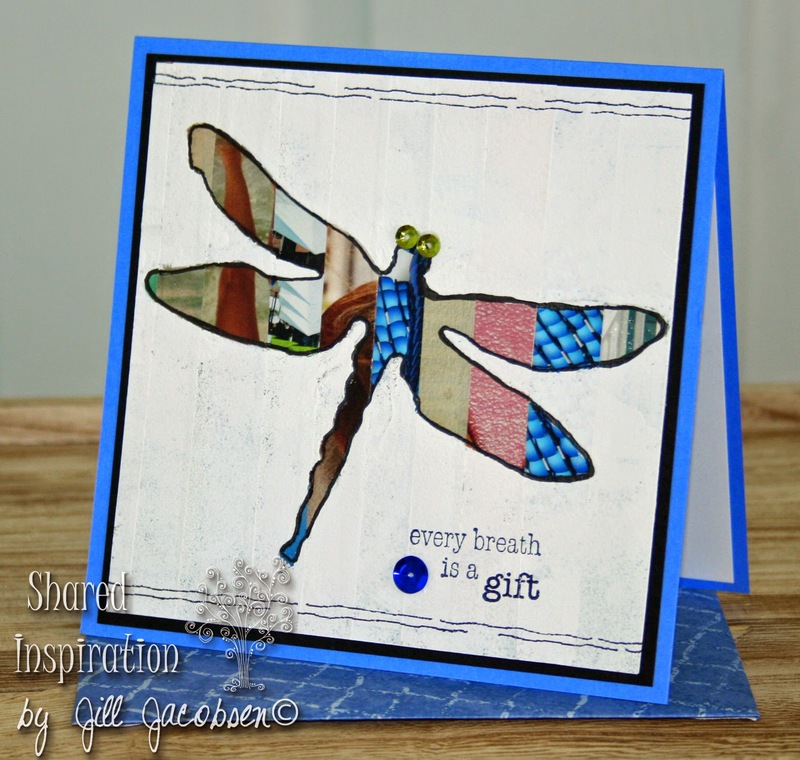 I used white acrylic paint and my Sizzix Dragonfly die. I used green sequins for the eyes and that really made them pop. My husband really liked the way the page came out, so I decided to make a smaller version for his birthday card today. 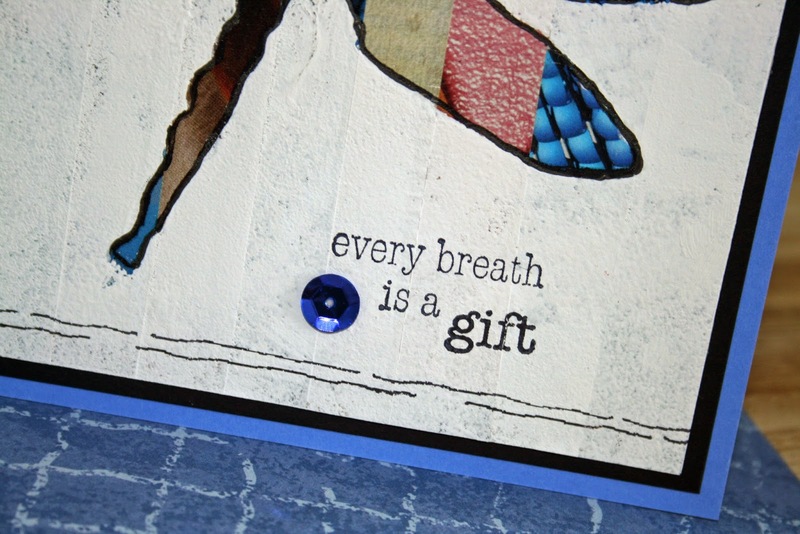 The sentiment is from Unity, and the border stamp is from Impression Obsession. 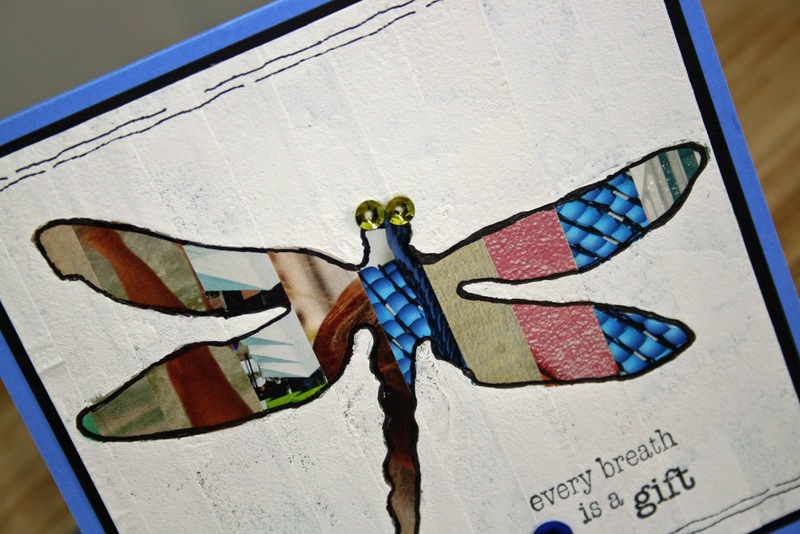 I like the way the card came out too. Thanks for stopping by and I hope you find time to be creative this weekend!